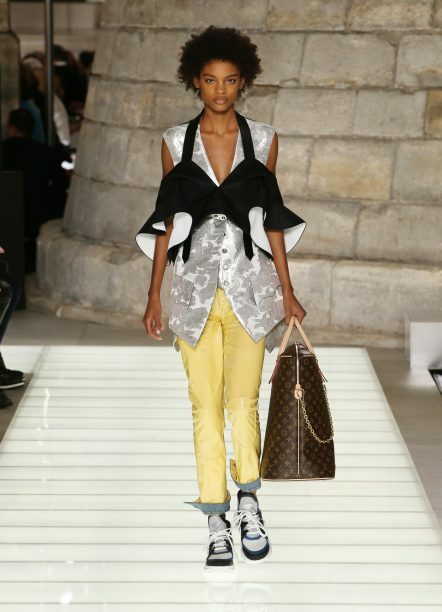 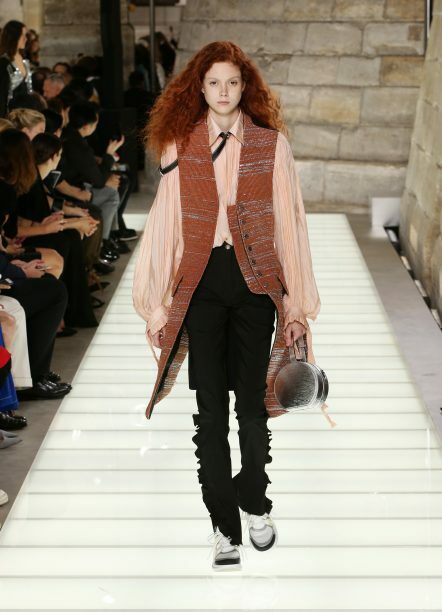 There was already a buzz for the Louis Vuitton SS18 show following a star studded party the night before to celebrate the opening of the new flagship on Place Vendôme in Paris. 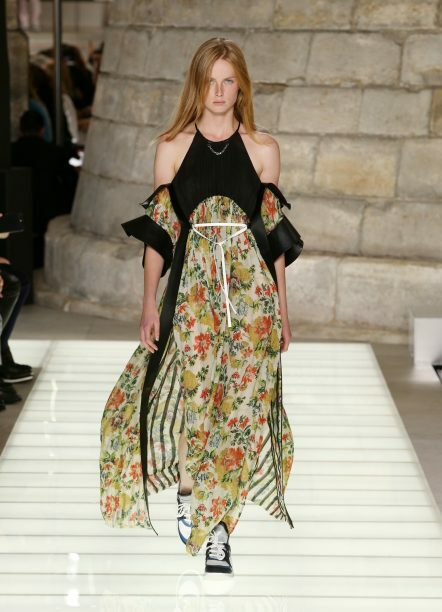 The air of celebration for the house, as well as for the end of another dizzying fashion month, was felt among the attendees at Musee du Louvre and it was a spectacular way to round up the last four weeks. 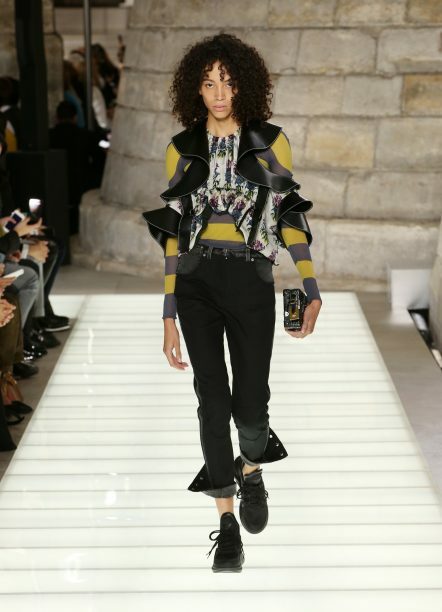 Nicolas Ghesquière has a talent for mixing masculine with feminine silhouettes, daywear with eveningwear and twisting archives into something contemporary and cool. 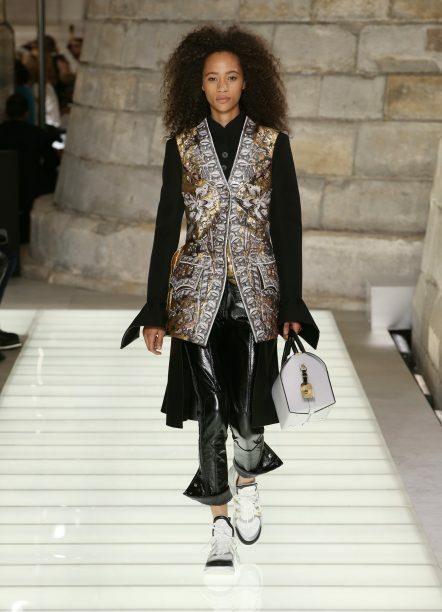 Inspired by Versailles, renaissance meets sportswear was the theme which was carefully blended with romantic and streetwear accents. 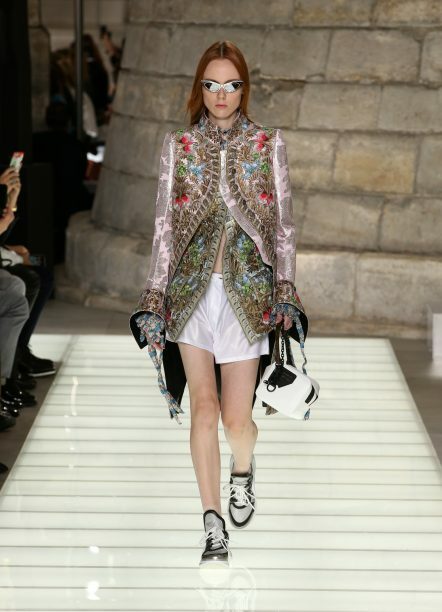 We saw embroidered tail coats dressed down with satin shorts and bulky sneakers, or with over floral high-neck blousons. 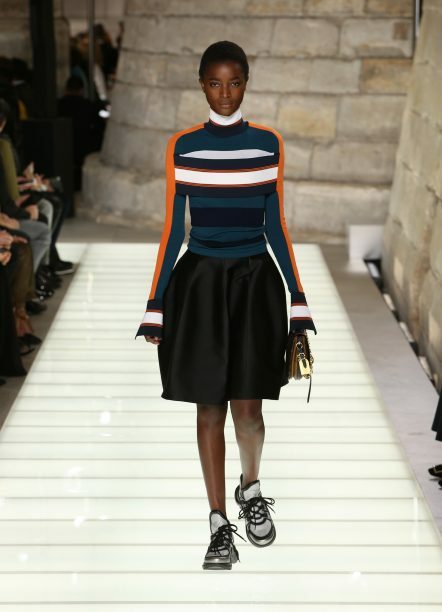 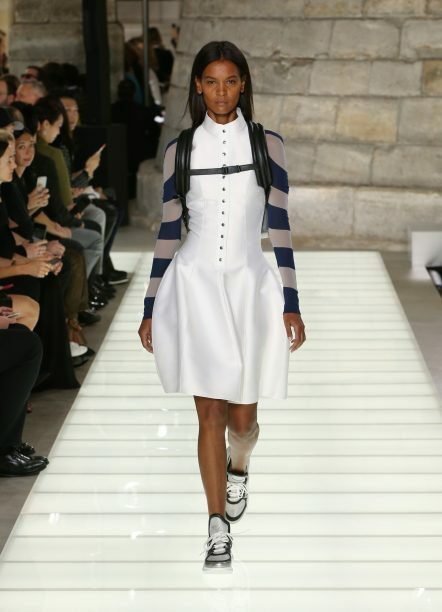 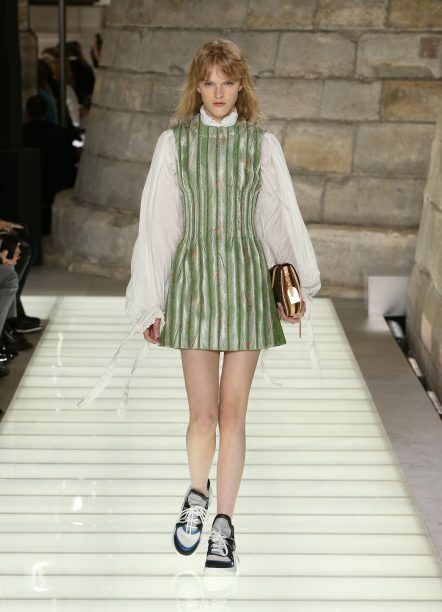 The structured mini dresses had a dropped waistline and voluminous skirts in leather worn over striped knits with a backpack – a modern day princess. 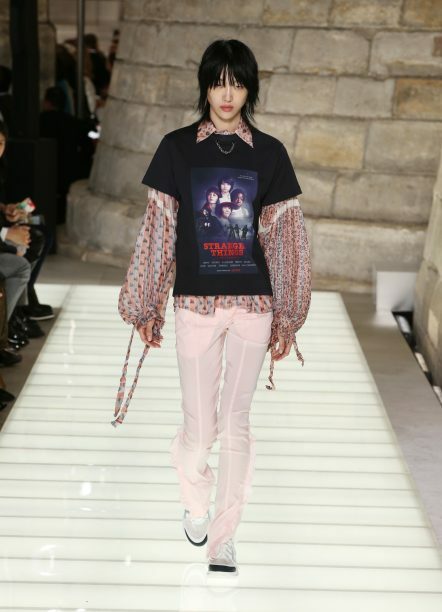 The sportier ensembles included logo T-shirts (one raising smiles for featuring the TV poster for Stranger Things) that he styled with a baroque sleeveless jacket or over balloon sleeve shirts and partnered with patent leather pants or contrast striped trousers, all slightly rolled up at the bottom. 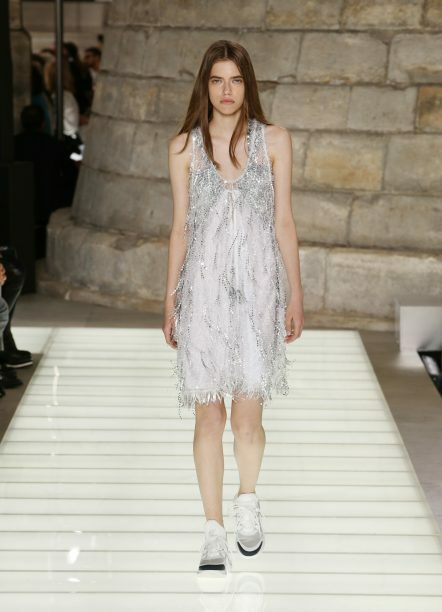 There was plenty of pretty towards the end as embellished dresses and floral gowns glided down the runway. 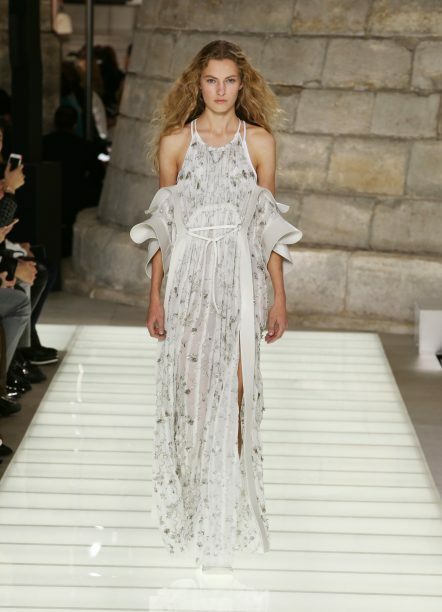 They had free movement but structured on top with dramatic frilled sleeves for an elegant yet youthful spirit. 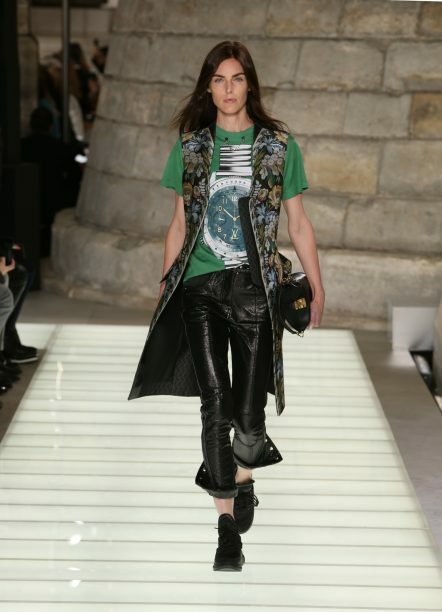 As for accessories, maxi tote bags were carried by models that were given a bit of an edge with a single chain. 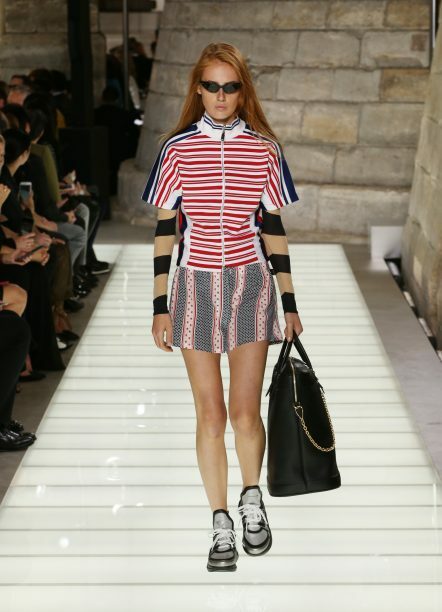 Speedy bags felt tougher and athletic while other tote styles resembled a doctors bag. 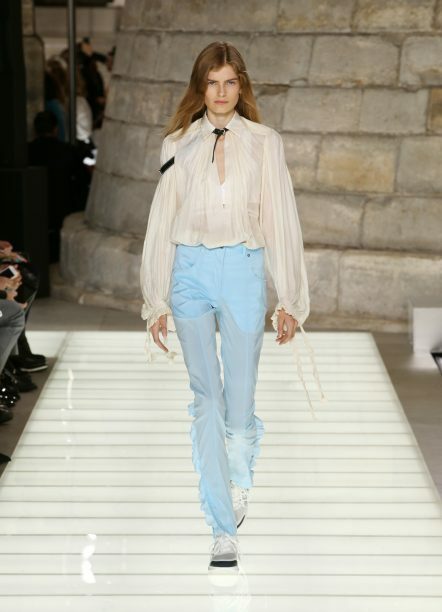 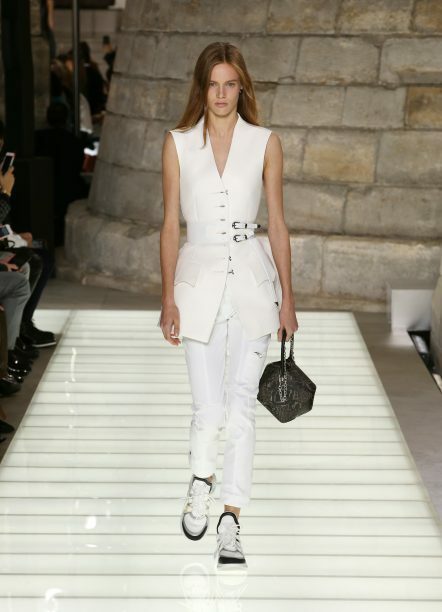 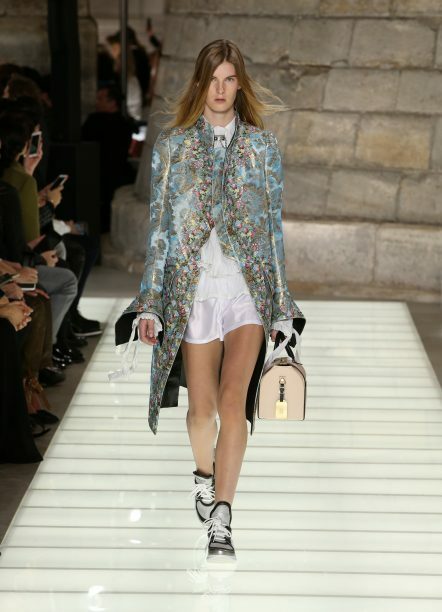 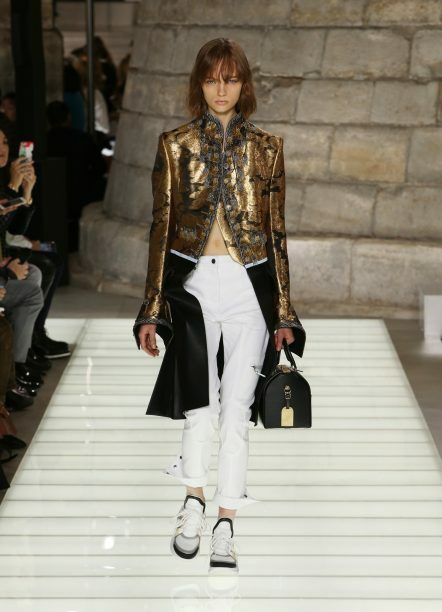 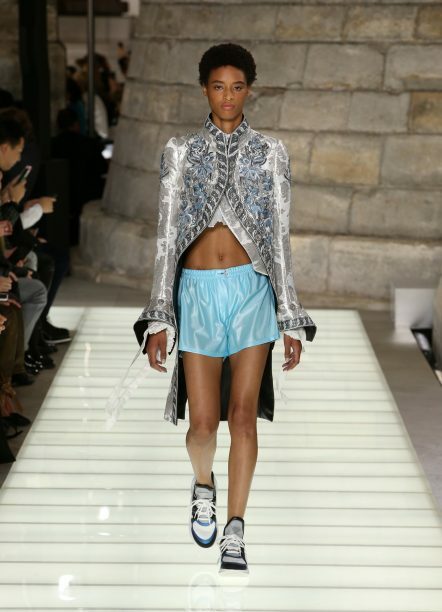 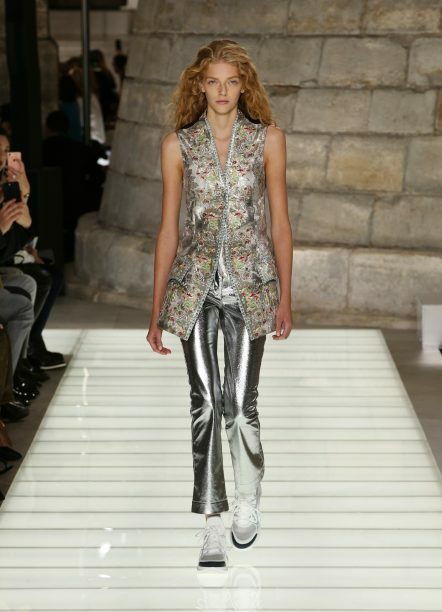 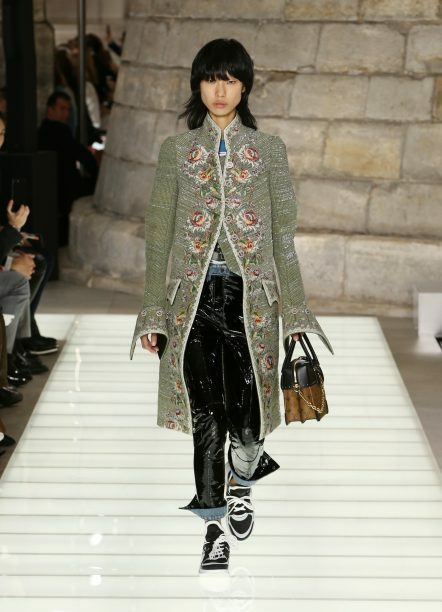 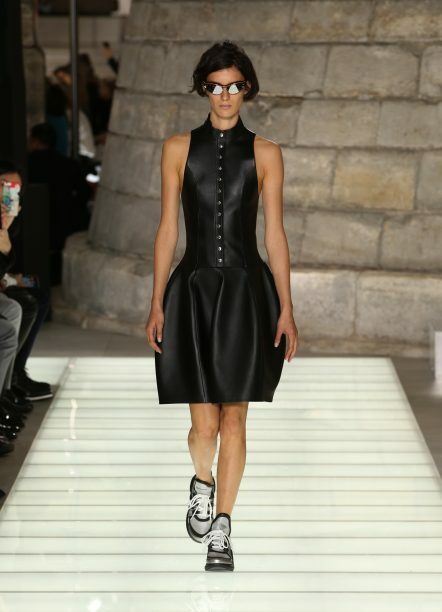 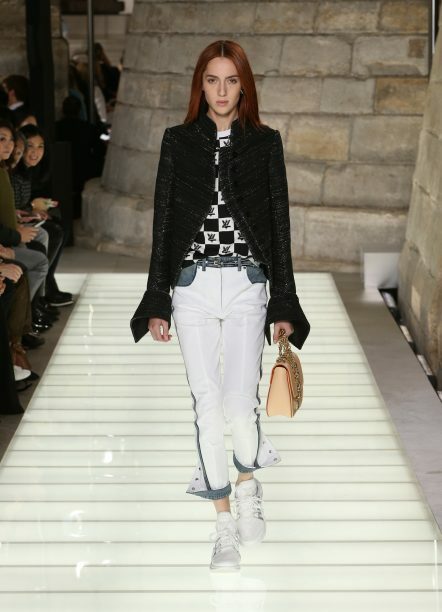 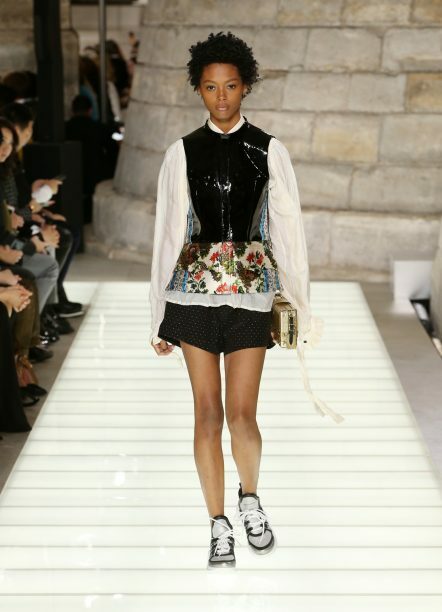 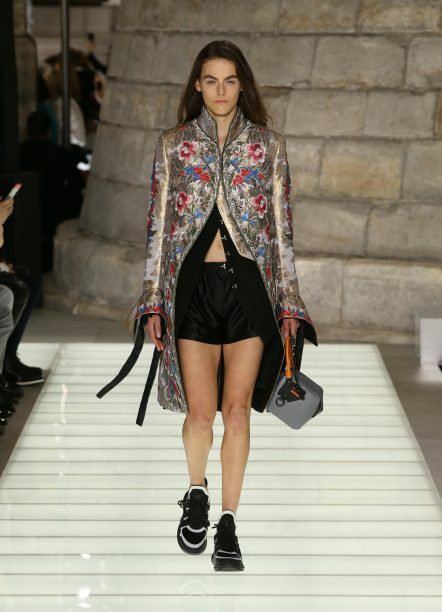 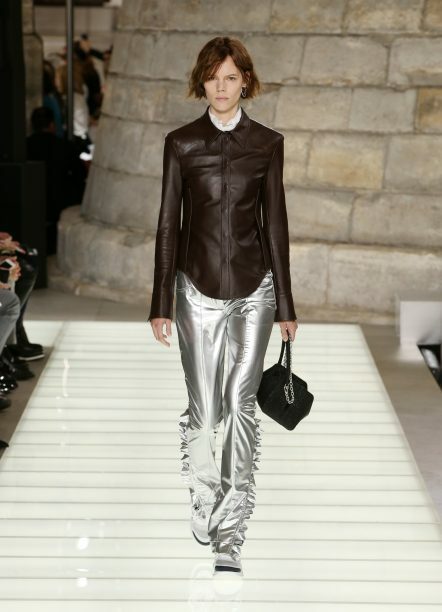 When you have an inspiration like the Versailles, you could be stepping into dangerous territory of clothes looking constumey and unwearable, but this is Ghesquière and it seems like there’s no era, trend or idea that he can’t turn into a must-have creation any cool girl would rush to wear.